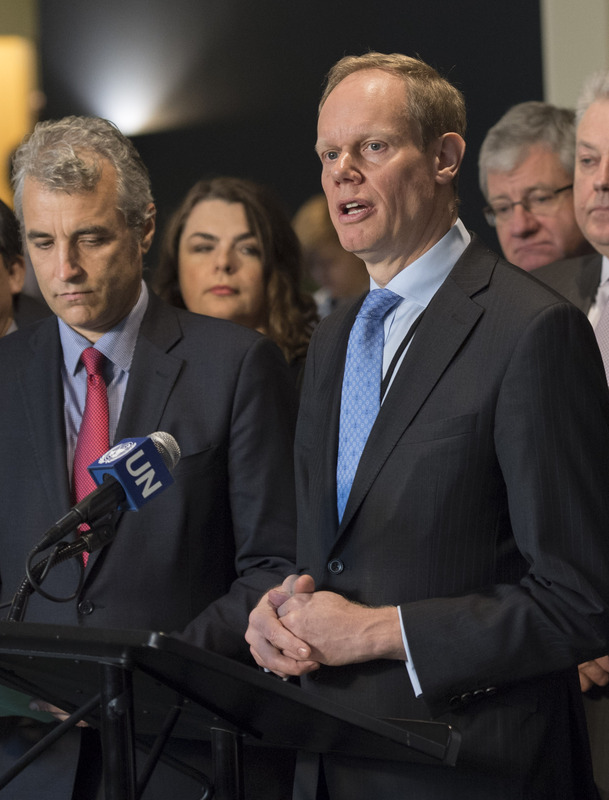 Today at the United Nations in New York, negotiations commenced on a treaty to ban nuclear weapons due to their catastrophic humanitarian consequences. Mr Toshiki Fujimori, a survivor of the atomic bombing of Hiroshima, contributed testimony about his experiences to the opening of the conference, emphasising to those present why these weapons must be categorically prohibited: their impacts are simply too horrific for their possession by any state to be permitted. The opening of the conference also heard from a representative of the Pope, the President of the International Committee of the Red Cross and many states on the imperative to prohibit nuclear weapons now, and what should go in the treaty. The majority of the world’s states have concluded that nuclear weapons should be illegal, because their devastating impacts are incompatible with any legal or moral standards. Concern has grown in recent years amongst states, international organisations and civil society at these impacts, and at the severe risks of any accidental or deliberate nuclear detonation. Concluding this treaty will put nuclear weapons on the same footing as the other weapons of mass destruction – chemical and biological weapons – which are prohibited by international treaties. Previous experience has shown that legal prohibition is the starting point for efforts to get rid of unacceptable weapons, building stigma and limiting financing to their production. The initiative to negotiate a nuclear weapons ban treaty has faced serious opposition from the nuclear armed states. Though the negotiations that commenced today are open to all states, the nuclear-armed countries were not expected to participate after it was clear that they would not be allowed to block the outcome of the initiative: the rules of procedure do not permit veto by any state. Whether these states participate initially or not, the treaty will be an important legal step that delegitimises nuclear weapons. As the negotiations started, the US organised a protest briefing to the press outside the room. Flanked by the UK and France, with some diplomats from an as yet unidentified group of states standing silently behind them, these three countries stated their opposition to the new treaty but did not take questions from the journalists present. The US Ambassador Nikki Haley asserted her country’s commitment to a world free from nuclear weapons – though this position is currently under review. The UK stated the same – though in a worrying development, the government recently announced that it would not accept the International Court of Justice’s jurisdiction on any cases relating to Britain’s nuclear weapons. 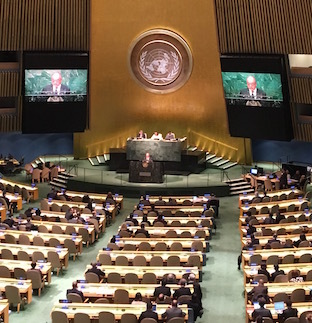 Along with their boycott of the negotiations that started today, these moves suggest that these countries are currently moving further away from any serious action towards their stated commitment to eliminate the world’s nuclear weapons. Ambassador Haley also stated that she “would love to see a treaty banning nuclear weapons, but the time is not right.” No state is compelled to join any treaty that is agreed, and there is no technical reason why states like the US, UK and France could not participate in the discussions and contribute to the technical drafting of the treaty. States will also be able to join at any point after the treaty’s adoption. The concern that nuclear armed states have with this treaty is that it takes away the claim that these are legitimate weapons – and that it will, over time, make their arguments in favour of nuclear weapons less easy to sustain.